This is definitely a book to take your time over. I received my copy at the book launch in Bristol this March, and have been dipping in and out ever since – to me this seems like the ideal way to enjoy Sara Maitland’s Gossip from the Forest: The Tangled Roots of Our Forests and Fairytales. The book is divided into 12 chapters, each dedicated to a particular forest and Sara’s experiences of it during a particular month, beginning with Airyolland Wood, “a tiny triangle of ancient oak wood” in March. Sara partners each month and forest to her own retelling of, mostly, well-known fairytales, and packs the pages full of information on the forests and fairytales – discussing their sociological impact and the threats that have challenged the survival of both. Ideally this is a book to be read at a pace of one chapter per month, but once you begin reading I suspect you’ll be unable to resist racing onwards, enticed by Sara’s facts, theories and tales. Each of the woods she researches for the book (and what a lovely task that must have been) has its own specific character – the one that enticed me most is the gorgeously named Staverton Thicks in eastern Suffolk, which Sara visits in August, “which is the right month to go, because it is the month of childhood.” This is a place of lichen, ferns and fungi, numerous butterfly species, and oak trees that have been pollarded, a management technique that apparently has a side effect of making them so easy to climb that Sara’s 20-year-old niece was unable to resist. It sounds like a magical place. Sara’s reimagined fairytales are plump treats laid out after each journey through a forest – and again I have a favourite, this one being Sara’s version of Hansel and Gretal, written many years after the children burn the witch in her own oven, once they have grown old themselves. It’s a thought-provoking and deeply pleasing tale. Sara’s delight in each of the woods she explores is evident (even when she expresses her fright experienced while walking alone in The Purgatory Wood and discovering she is not actually alone after all), as is her interest in their histories. Reading this book you will learn about the influences that have shaped the woods we know today, as well as the myths that have sprung up about what they once were. You’ll also discover an awful lot about wildlife and trees. With Sara’s lyrical narrative carrying you forwards, I suspect that if you read it before bedtime you’ll fall asleep with your head full of shifting leaves. 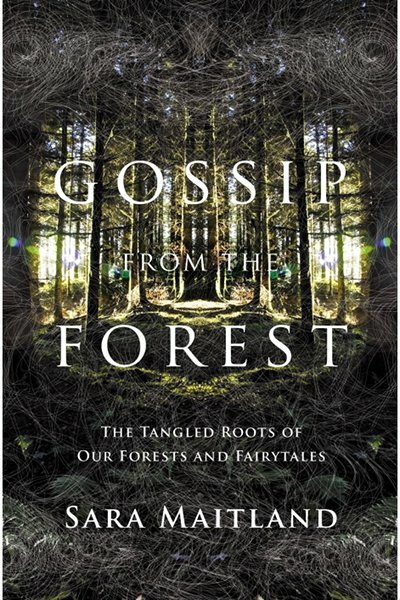 Gossip from the Forest: The Tangled Roots of Our Forests and Fairytales by Sara Maitland is available to buy from Amazon. I don’t believe a birthday should last just a day – I think it should be at least a week-long celebration. So I began my birthday week yesterday, with two very different revelries. The first was an event at Foyles bookshop in Bristol as part of Bristol Festival of ideas. One of my favourite authors, Sara Maitland, was there to talk about her book Gossip from the Forest: The Tangled Roots of Our Forests and Fairytales, which she described as part natural history, part a history of forests and part an examination of her theory that we have the kind of fairy tales that we do because we have grown up surrounded by forests. 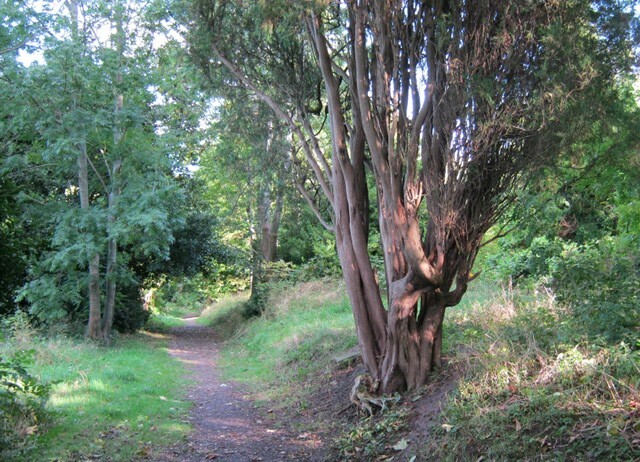 It’s a gorgeous idea, and utterly plausible – in woods things are often heard and sometimes glimpse yet not seen fully – the perfect measures for fertile minds to make something from. They hold in atmospheres that reflected and deepen our moods, so that if you enter warily you can become properly afraid, and if you enter contemplatively, you can sink deeper into yourself. They’re places where wildlife rustles all around you, and whose to say that those creatures springing and pausing unseen overhead really are nothing as innocuous as squirrels or birds? I’ve yet to read Gossip from the Forest, but utterly loved Sara’s previous book, A Book of Silence, which I’ll review here on Monday. Name dropping is very much frowned upon. Even gaining entry is something of a game, as there is no sign and you have to ring a doorbell then wait for a member of staff to open the door to you. The menus are printed in the form of a newspaper (presumably in case the police burst in searching for prohibition infringers). We broke one rule by having more than 10 people in our party, but were very well behaved considering. I did wonder if we might get chucked out for an overuse of bubble mixture though. What? It is my birthday!